With Fido Float there’s no need to worry on or off shore. 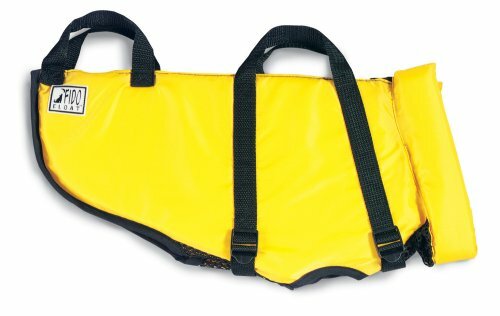 Straps adjust for a snug fit and handles make it easier to lift any size dog from the water. Patented buoyancy collar holds a dog’s head out of the water for added safety. 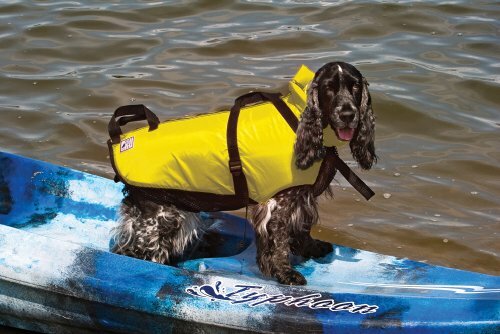 The Fido Float increases endurance and makes boating safer for dogs. For an exact fit, measure the circumference of dogs chest just behind the front legs at its deepest point. Tiny Girth size 10-inch-14-inch.